The Agilent 8645A agile signal generator combines high performance with frequency agility for new fast-switching test requirements. These capabilities are important for performance testing of such devices as frequency agile radios and surveillance receivers. Besides extending traditional receiver testing to agile applications, the Agilent 8645A can be used to create complex signal simulations involving several modulation types and frequency agility. 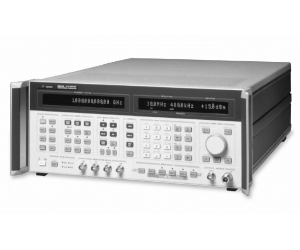 The high performance and frequency agility of the Agilent 8645A provide capability for both static and agile test requirements with just one calibrated signal generator.